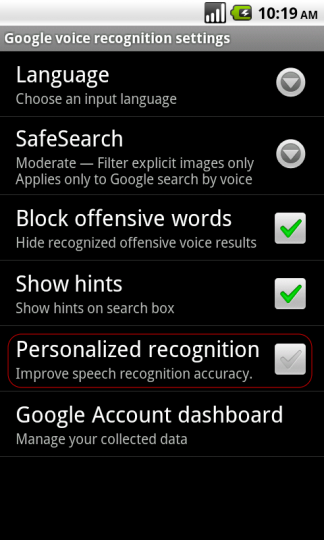 The Android phone users can now enjoy the Voice Recognition Service provided by Google. This service is especially for peoples who are tired of typing text and wanted something to automate it and write it for them. But one sad thing about this is; only the Android phone users can enjoy its service. 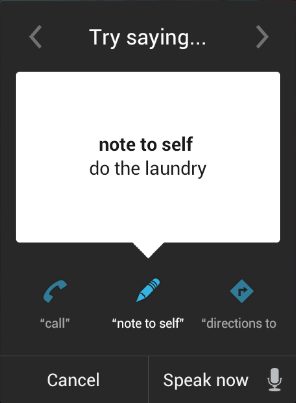 The Google Voice Recognition Service would listen the words you spoke and then convert it into the text and accordingly the function you have given in the command section (i.e to-do-list). You might have a doubt really the Voice recognition service recognize the word we speak. The answer is Yes! if you speak the standard English it works well but if you try to change the accent some errors are occur. 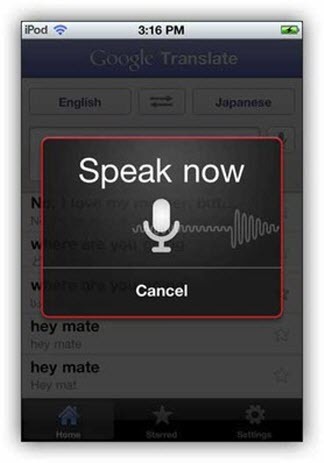 To recognize your voice, you need to speak every word separately for the phone but it would easily grasp the common words and sentences. If you Speak about the “Weather in Hyderabad, India” it would easily recognize the sentence eventhough if you speak at a speeder pace. But if you speak something like “Text *contact* I will be late” in fast pace then simply it answers you “Match not Found”. You can find the Voice Recognition option in the Google Search Box itself. It is available in the right corner as a Mic icon. It is usually comes as a search box widget on the home screen, or when you hit the search key from any one of the bottom keys in the phone, it would open the search box. 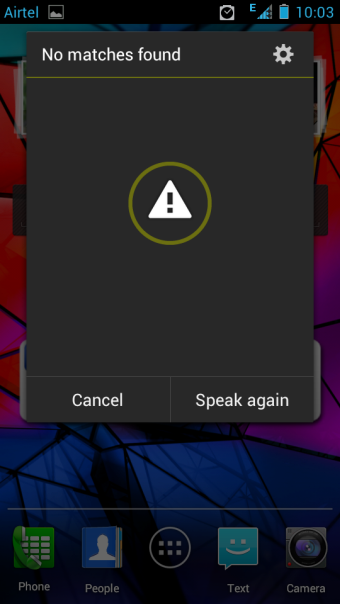 Just in case, you could not find the Microphone option in your android smartphone, then go to the Settings>Language & Input or Language & Keyboard where you get to see the option to enable or disable the voice input and the related settings for the same. At below we have discussed about the few things can do with the help of Google Voice Recognition Service. Further, we also explain how each can be done by sending the proper commands through voice and you never need to type anything. 1. 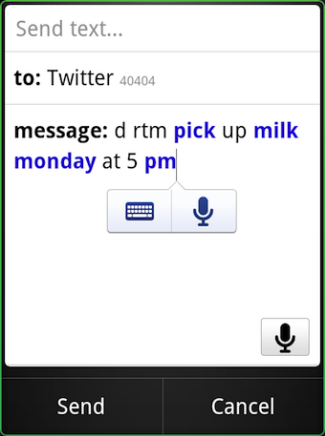 How to send text message to a contact? If you want to send the text message to a particular person in your contact list, then you simply say to your phone “Send text* to Contact Name**Your Message*”. After that, the phone will automatically open the text message option, and type the message you have told to that already and send to the selected contact list. 2. How to make a call to your contact? If you want to call to particular person and you already saved his name and his number in your contact list, then you need to simply say Call (that particular person name) that’s it. Now, the phone will search the name in your contact list and make a call to them. Just in case, you stored more than one contacts in the same name then you will be asked to select an appropriate one before making a call. 3. How to Set an Alarm? The Voice input service some limitation in setting alarm. You can simply fix the time alone, you could not edit the options like setting the repeat and any other alarm setting. If you need no changes but just the alarm set up, then this Voice Recognition service is easy for you. 4. How to Get the Directions to a particular location? To get the directions to a particular location from where you currently are, you need to say “directions to *place*” where the *place* is the place where you want to reach. 5. How to make a note for Yourself? If you want to make a note of something, but you are lazy to type it out, then don’t worry just open the voice recognition service and say what you want to type. It will record your voice and create the note for you. For instance, you would like to make a “Note to attend Sanjay Marriage at 6.00 P.M on 21st” then you tell about this to the Voice Recognition Service, it would automatically create a note with the input that you said. Please keep in mind that the Voice Recognition would recognize the normal search alone it won’t recognize the shortcut command such as calling, texting etc. The Voice Search not only support English language it would support some other specific languages you can select them as your wish. One option called SafeSearch is available, with the help of that you could set it to OFF, Moderate or Strict based on how you want to filter the explicit images during the Voice Search in Google.